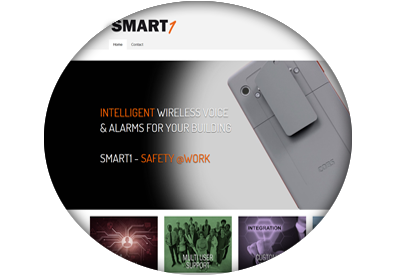 Have you visited our new SMART1 website? We think that this might be interesting for you and your businesses, please feel free to share the site with your colleagues and customers. 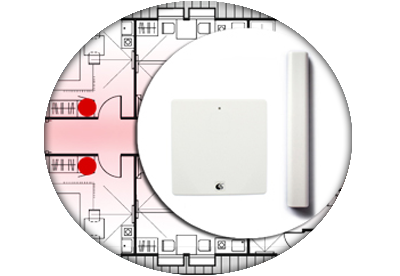 Use A-POS in combination with DECT terminals or portable alarm transmitters to obtain precise indoor positioning. Can also be used as wanderer alert, for dementia alarms or for lone worker protection. Increasing flexibility! Now you can add personal phone books for each user of your SMART system. By using SMART1 with personal login, the users will always have the phone updated with their own contacts. 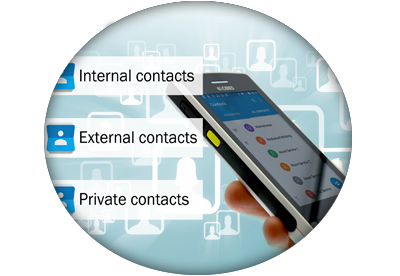 The different contact lists are linked to the right user in SMART Manager. A great feature for busisnesses with employees working in rotating shifts, using the same phone. You can link each user to several private or common contact lists. Can you reach out to thousands of colleagues in just a second? Push one button and everyone in your group will hear you... that's a great feature!